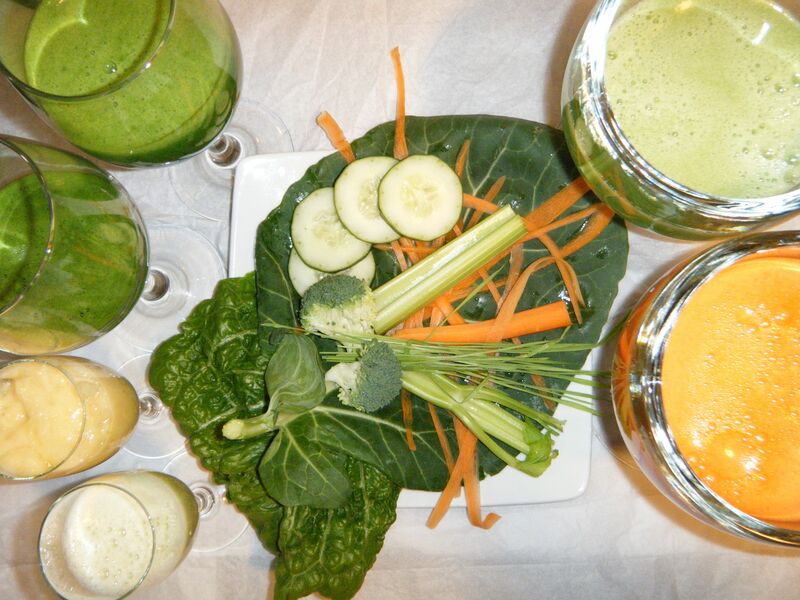 "What would you recommend juicing in a masticating juicer for optimal nutrition?" That would depend on what you're aiming for. I have comprehensive nutrition charts that are a part of my "Mastery" meal-plan package that illustrate what is optimal for nutrition in detail. For example: The best foods for iron (among them, parsley, dill, peppermint and dandelion) are not the same as the best for magnesium (among them beet greens, watercress and arugula). Also, there is the detox factor: If you cause a very strong detox you may cause yourself to associate feeling sick with particular vegetables which will actually cause them to taste terrible. This happened to me from drinking too much wheatgrass. I loved it the first two times I had it. The third time I had too much, felt very ill, and it has tasted awful ever since. My body strongly associates wheatgrass with the flavor/feel of the toxins that the wheatgrass causes my body to release into my bloodstream. When starting out, it's actually good to stick to mild blends instead of going for the highest/strongest/most-nutritionally-packed vegetables. The lettuce/parsley/lemon blend, which I mentioned in the second episode of our radio show, Eat Live: Live Well, is a great one for beginners. Apple can be added for sweetness, but I prefer it without apple personally. If you want to go for something stronger then I recommend having "detox stoppers" on hand. Almonds, sunflower seeds or a salad with cold-pressed flax oil or olive oil (cold-pressed oil is raw) will slow down a detox very rapidly. If you begin to feel sick from toxins being released from muscle/fat/organs and entering the bloodstream, then you can consume something to slow the detox down. Any healthy fats will slow this down and alleviate unpleasant detox symptoms. I always recommend juice on an empty stomach. Putting juice on top of food can cause you to feel sick without even getting the benefit of detoxing in the process. Juice first thing in the morning is a great option. Or if you eat nothing but fruits and vegetables prior to the juice during the day and give yourself an hour after the last meal/snack before the juice then you'll have a pretty clear digestion. For other 'more typical' foods, you'd have to wait four hours or more to have a fully empty stomach. The above are suggested because they are palatable to most people and will cause a mild detox without causing extreme discomfort. The above two examples were absolutely disgusting to my palate, but I got them down... And then felt sick for about half an hour... And then I felt excellent for the rest of the day. 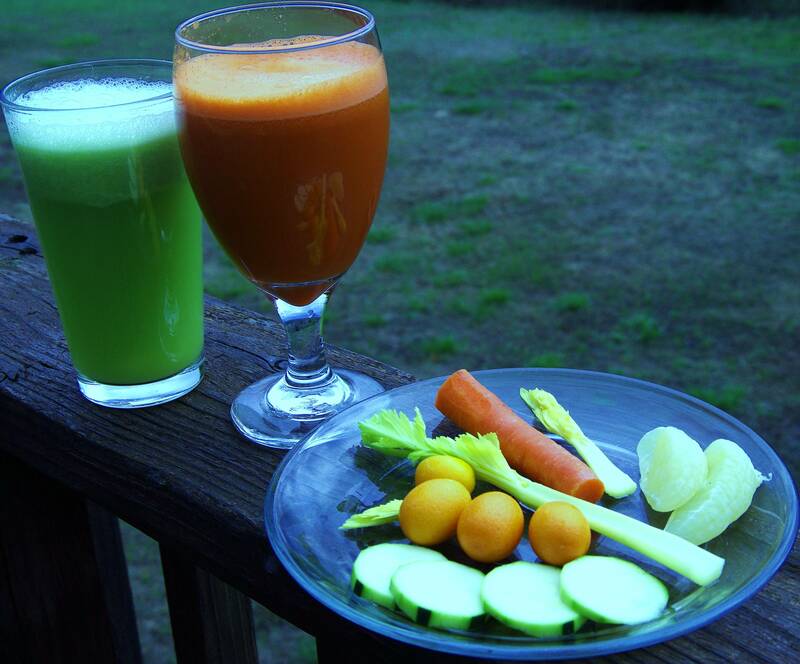 Mild juices at first make a lot more sense. Or starting with small shots of powerful juice.